Quentin Tarantino or David Lynch? 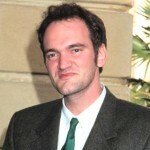 Dear Ray Harvey: Who’s the better filmmaker, Quentin Tarantino or David Lynch? Dear P. Durango: Are you kidding me? But there’s no comparison. That’s like asking me: who of those two has better hair? As a filmmaker, David Lynch possesses innumerable shortcomings, foremost of which is the fact that he’s an obscurantist extraordinaire — and this is no small thing. The symbolic in art, you see, must never supersede the literal — or to put that another way, the symbolic meaning must always remain secondary to the literal meaning, and the literal must hold up on its own without reference to the symbolic. When an artist makes the symbolic meaning the tail that wags the dog, as David Lynch so often does, she defaults on art’s primary function: making the abstract concrete. Yet for all this, David Lynch is not only the better filmmaker: he’s better by light years. Quentin Tarantino barely makes it above average. He makes good B movies. It’s true that Tarantino can tell a story (at times, not consistently). This isn’t really his problem. His problem is that he lacks depth. Tarantino’s dialogue at its best is good, but it, too, is inconsistent. Pulp Fiction, slightly campy now, remains by far his best movie. Reservoir Dogs? You can see skill there, in flashes, despite its wobbly plot. But there’s no getting around the fact that Quentin Tarantino could never in a million years create Wild at Heart and Sailor Ripley, let alone the John Merrick that David Lynch gave us in his awesome version of the Elephant Man — John Merrick dancing alone in his room with tophat and cane, the pure poignancy of which scene is unforgettable. Tarantino has yet to match Pulp Fiction. It seems to me now that he never will. Pulp Fiction spawned a thousand imitators — and for good reason: it was funny and it was original. And yet its appeal has dated a little: many scenes still hold up and are as fresh today as they were fifteen years ago. But an almost equal number (i.e. “The Bonnie Situation”) have grown stale and are unconvincing. Time has sunk them. The David Lynch of Twin Peaks and the David Lynch of Blue Velvet has a depth and intelligence that Tarantino cannot match. Wild at Heart, which is half a decade older than Pulp Fiction, has proven more durable by far. Just incidentally, Quentin Tarantino’s “The Man From Hollywood” (his Four Rooms contribution) was taken from a Roald Dahl short story called “The Gambler,” and if you want to see where Tarantino got his idea for the ending of Reservoir Dogs, please watch this movie, which was based on the novel by Lawrence Block. Abe Froman! Man, I haven’t seen you since that day we ditched class together. Actually if you want to see where Tarantino got the idea for all of resevoir dogs you need to see the movie City on Fire – directed by Ringo Lam. He lifted the entire story line and several action scenes directly from this movie. Tarantino never actually admitted this until it was revealed by the magazine film threat. All of Tarantinos best movies were co-written with Roger Avary, but QT has tried to gloss over that fact. Hello Redmond. Nice to meet you. I thought your comment was super. used to watch, occasionally, but with very limited enthusiasm. 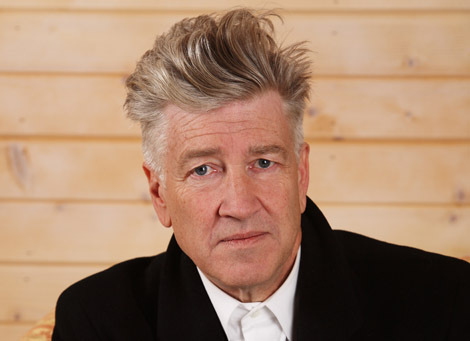 David Lynch it is – could there be any doubt? Not only was Ving Rhames in The Equalizer, but the scene on the apartment balcony in Pulp Fiction was taken shot for shot from the The Equalizer. I swear he rented the same apartment. I don’t know how many people would have caught that, anyway. The Equalizer did not have a huge following. Pulp Fiction was full of those – it was fun looking for the movies that Tarantino stole his shots from but he still stole them. City of Fire is hard to find; I’ve only seen it in a poorly pirated copy with English subtitles (sometimes impossible to make out), rented from a video store in Chinatown. But there is no question that Tarantino stole it, probably thinking no one would ever see the original. And the original is far superior – the story is better and more believable than Reservoir Dogs. It starred Yun-Fat Chow who now makes the Hollywood movies (see God of Gamblers, another remake). How can you not like the Equalizer? Since it had a continuous storyline, the evolution of the story had some importance in getting an audience. Curiousity: if you want to see the Equalizer as a young man, there is a British show called Callan – made in the 60s, I think, starring Edward Woodward as a horribly disillusioned spy. I saw it in the 70s and have most of the series in very uneven quality downloads from someone kind enough to upload copies that they had. It was the strangest thing to be about the only person who made the connection. I don’t know whether it was intentional or not. It was similar to the idea of Secret Agent Man and The Prisoner. It was clear to anyone who had seen Secret Agent Man, that the Prisoner was that guy [there were copyright issues, so they couldn’t actually say that it was the same man]. No, there really could not be any doubt. I’ve never even heard of a show called Callan. I love Yun-Fat Chow — but even more significantly, I once owned a fat chow. Lynch and Tarantino are apples and oranges, although Wild at Heart and Pulp Fiction feel like wayward half-brothers to me. I rate PF slightly higher on the entertain-o-meter although artistically WAH has got some powerful themes. The bottom line, Tarantino is possible the best screenwriter I’ve seen in decades and David Lynch is the best director I’ve ever seen. Out of necessity, both men dabble in the other’s forte where neither o them tend to be quite as strong. Because of Lynch’s singular poetic vision, he often needs to write or co-write his screenplays to get the stories ready for him to knock out of the park when he steps behind the camera. Tarantino’s written word NEEDS to be translated faithfully to film in a certain darkly humorous style or else you get messes like True Romance and Natural Born Killers, which were directed by other world-class directors but just don’t ring true like the movies Tarantino decides to direct himself. Hello John Faulkner. Your comments on David Lynch and Quentin Tarantino are so carefully thought-out and so eloquently expressed that you almost convince me that Tarantino is above the average. Almost. But not quite. I liked the article you link us to at the end. Thanks Ray! I love your article and I think Lynch and Tarantino both fill an important niche in the industry. Their fearless commitment to their art is inspirational. And although I tend to like Lynch’s movies as a whole more than I like Tarantino’s, there are some Tarantino films that I like better than some Lynch films. So Tarantino has definitely got some talent. More often than not, I’d rather watch Q.T.’s “Pulp Fiction” than D.L.’s “Wild at Heart” or “Lost Highway.” I’d rather watch Q.T.’s “Inglourious Basterds” than D.L.’s “Inland Empire.” But I definitely agree with you that David Lynch is a better filmmaker. Has Tarantino ever made anything that compares to the raw humanity of The Elephant Man, the mysterious light-heartedness of Twin Peaks, or the profoundly dream-like Mulholland Dr.? No, not yet. Perhaps Q.T. never will. I don’t know. But what I do know is that I sometimes feel in Tarantino’s work the same thing I feel in Lynch’s work: a film character’s soul somehow touches mine in the process of watching the movie. Is Tarantino quite as good at it as often? Probably not. But Tarantino still gets there on occasion and much more frequently than most other filmmakers. But David Lynch truly amazes me in a way no other filmmaker has yet. So in that respect, I agree with you. And I’m glad you liked my link to the David Lynch article series. It’s fascinating to analyze his movies. Is that really a serious question? Is there anyone on this earth who can even get close to Mr Lynch? Tarantino has had his moments but is third rate if we are going to compare his work to the boss. Your comment about the symbolic being subservient to the literal is merely an opinion, not some kind of absolute law of art and fiction as you so boldly suggest. I happen to like my films and novels to be heavy on the symbolic and believe that the more symbolically rich they are the more meaningful and satisfying they are, which is why, of course, I love Lynch (my favorite is the film “Fire Walk With Me,” an underrated masterpiece of symbolic filmmaking in my view) and consider Tarantino’s work to be an essentially worthless pursuit of gratuitous violence for violence’ sake. Why can’t an equally valid role of art be to make the concrete abstract? Why are “things” more important than the “meaning of things”? Maybe there are many in the populace that can’t handle it but for those of us that can, bring it on. Bring on more works like “The Wall” and “Vanilla Sky,” and you can have your Kill Bill volumes 1-3. I’m glad you essenially defended Lynch after that paragraph, by the way. “Quentin is the best”? Please. All I can think about, after reading all these comments, is Dune and how much it is a part of my cinematic psyche. Different creatures I guess: Tarantino and Lynch but Lynch strikes me as a real philosopher and well rounded metaphysician whereas Tarantino strikes cords at a lower level. Jules’ conversion after not getting shot was the most interesting thing that happened, in my mind, in PF, and something not to be repeated afterwards. Actually, both are strange and sometimes try to hard to be strange. Being esoteric, while being able to expand the mind sometimes, ends up in a fruitless circle if not woven well into the fabric of everyday ‘happenings’. Revenge is a tiresome and boring companion sometimes and all to often the subject of cinemas ‘masterpieces’. Rambling thoughts indeed but I enjoyed the reading of people’s thoughts which opened mine. Hi Cameron. I agree with you that they are different creatures, and yet this question comes up with astonishing regularity — particularly behind the bar, when I’m bartending. 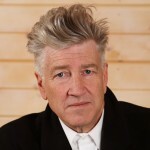 I agree with you also that David Lynch has something of the real philosopher about him. One interesting thing I’ve noticed in the past three weeks — since Django started getting publicity — is that this post, which was written some time ago, has enjoyed a significant resurgence. I stand by everything I originally said. Thank you for your excellent comment, and thank you for dropping by. See you Wednesday. obviously there is a point missing, directors as well as screenwriters work is a reflection of their personalities and antipersonalities , let´s not lie , the 2 are enourmously intellegent men, but my guess is that lynch explores more the self and the mind and is close to Luis Buñel as the surreal master and the atmosphere he creates in every little piece of movie he has made trademarks an uncopyable style, tarantino on the other hand clearly has a trademark too, which is his knowledge of american culture , and americans themselves , thats why i think they are freudeans , cause what makes us praise and joy these too fellas is the way they mes up with your thoughts and recreate scenes hidden in our desires and dreams , you can say what you want about tarantino copying , but from my point of view , no movie he copied was a good movie to start, he took an idea and created something better…. I like what you say, friend, and I don’t significantly disagree with you.